"Sampath Speaking" - the thoughts of an Insurer from Thiruvallikkeni: Train waitlist upgrade and fly ~ Selfie paiya pulla ! ~ Train Selfie !! Train waitlist upgrade and fly ~ Selfie paiya pulla ! ~ Train Selfie !! In this beautiful World, often you feel people are not sane ! – the mobile phones have added to the chaos, with people speaking, walking, talking, and doing everything else, but not caring about the road traffic. Similar is the scene in Railway stations too – and why would people risk their lives so ? – no answer !! – with smart phone cameras, another got added – the “Selfie” !! – primarily it is an expression of human desire, that of feeling noticed, appreciated and recognized in society. It is at arm’s length - slant your head, push your hand, keep it raised, face the camera of the phone, click – far easier than those days when the phone had no front camera. Suddenly there was buzz – the basic human desire, selfie was considered mental disorder. It spread like wildfire through social media, instantly becoming a Facebook and Twitter phenomenon stating that the American Psychiatric Association (APA) had officially classified taking ‘Selfies’ as a mental disorder. In fact, the announcement also stated that the APA also claimed to name the disorder ‘Selfitis.’ Eventually it was only a spoof ! Oxford officially named ‘Selfie’ the word of the year in 2013. In recent times, there occurred everything – some even lost their lives trying for the best selfie to post. One woman took selfie fully aware of a suicide drama underway on the Brooklyn bridge ~ the bridge may be a perfectly logical extension of modern tourism's obsession with the selfie – but not when somebody is attempting to end his life and one takes a photo to capture for her posterity. …. Crazy !!! Moving away to faster lane, to another interesting topic – Indian Railways. I have travelled by train to New Delhi by GT Express, Tamilnadu Express [2 nights and one whole day] and by Rajdhani Express. Rajdhani Express is a series of express passenger train services connecting New Delhi with other State capitals. The Rajdhanis are among the fastest trains in India. Surprised to read that Rajdhani Express was introduced in 1969 ! New Delhi station for Howrah station to cover a distance of 1,445 km in 17 hours 20 mins. Rajdhanis are fully air-conditioned; complimentary meals get served. These trains have fewer stops than other express trains and halt only at prominent stations. The Chennai Rajdhani Express (12433/34) was introduced in 1993 and runs twice a week from Delhi and twice from Chennai. It covers a distance of 2176 kilometers in 28 hours 10 minutes as compared to 33 hours covered by Tamil Nadu Express and 35 hours taken by Grand Trunk Express. The latest news is - Maharaja will soon come to help wait-listed passengers of Rajdhani trains as such travellers will be provided with the option of taking an Air India flight to their destination by paying marginally extra. Air India and IRCTC have entered into a pact for the proposed arrangement which is expected to be in place "within a week", the carrier's chief Ashwani Lohani told news agency PTI. Under the proposed arrangement, people who have unconfirmed tickets across classes on Rajdhani trains would have the choice of boarding an Air India flight, provided the airline has services in the particular train route chosen by the passenger. Air India tickets would be offered to such passengers through IRCTC; the wait-listed passengers of AC First Class of Rajdhani trains would not have to pay any additional amount in case they decide to take an Air India flight. In the case of those booked on Rajdhani Second and Third AC classes, the passengers would have to pay up to Rs. 2,000 per ticket as additional amount for flying Air India, it is stated. - … .. and to conclude the arrest – first ‘selfie’ arrest of Uttar Pradesh. MailOnline reports on what could be the first ‘selfie’ arrest in Uttar Pradesh, three young men detained for halting the Rajdhani Express to take selfies. The incident took place in the Firozabad district neighbouring Arga on Wednesday, when the teenagers aged between 13 and 16 blocked the railway track at the Tundla - Etmadpur over bridge. The youths reportedly used stones, bricks and tree branches to block the track in order to take a selfie with the Rajdhani Express. Their motive for the blockage was to take selfies with the Rajdhani Express. 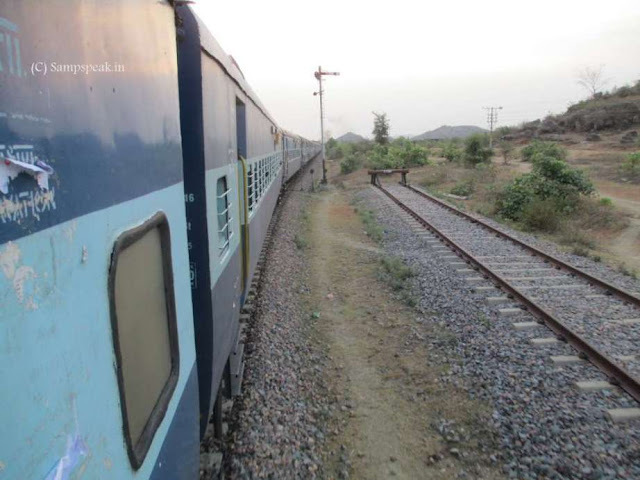 Soon after they blocked the track in the afternoon, the Patna–New Delhi Rajdhani Express arrived. When the loco pilot noticed the obstruction, he applied the emergency brake. The youths were produced in the juvenile court of Mathura district later on Thursday and were released on bail with a stern warning. 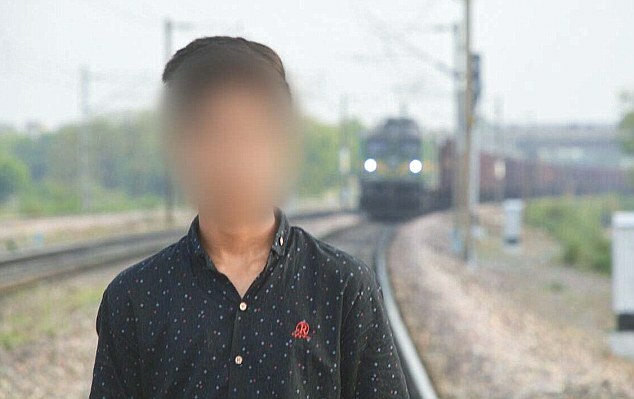 According to RPF officials, the teenagers were booked under Section 154 (endangering safety of persons travelling by rail by rash or negligent act or omission) of the Railway Protection Act. Just as you utter that it is mindless insanity, mind recalls that (in)famous selfie at a funeral service – not that of ordinary people. Denmark's Prime Minister Helle Thorning Schmidt appeared to hold out her smartphone for a three-at way selfie at a service honoring Nelson Mandela in Johannesburg. Obama, who sat to her left, and British Prime Minister David Cameron, who sat to her right, leaned in close for the snap. I cannot say – Selfie is expression of sick mind – for me too had bit the bullet – what about you….